Southern hospitality triumphs yet again! ...the clear winner was Raleigh, which reinforced its position as a most prominent, if not model, Sun Belt franchise. Capitol Broadcasting - tv, radio, web, mobile - has promoted the dickens out of this event, but I have to admit that I was surprised (and relieved) at the crowd on Friday as the festivities began. 12,000 people were in the Raleigh convention center for the Fan Fair. An NHL staffer said that was a record for opening day. Meanwhile, Fayetteville St. and City Plaza were packed with people for the All-Star Wide Open outdoor activities. I like the story Carolina Hurricanes owner Pete Karmanos was telling yesterday: the Triangle is no longer to be considered a non-traditional hockey market. 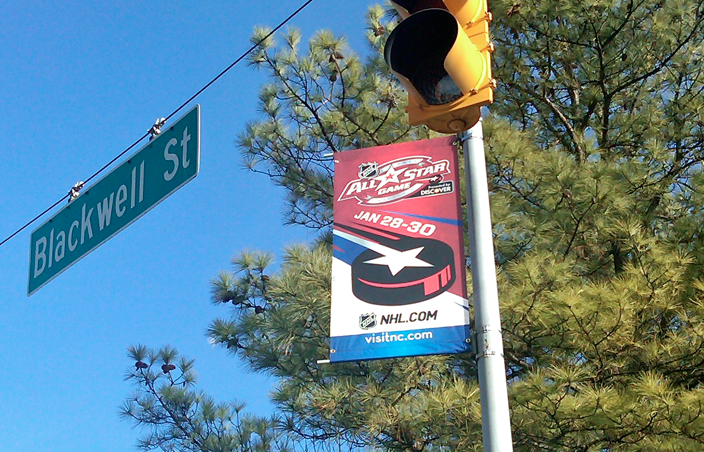 The Canes have won the Stanley Cup, the NHL draft was here and now our community is hosting the All-Star Game. That's as traditional as it gets! Gotta man up and confess: I attended the US Figure Skating Championships at the Greensboro Coliseum yesterday, the pairs short program and the ladies short program. I have witnessed a flying camel, twizzle, rocker...even a hydroblade. I know all of this thanks to a little radio I purchased in the arena. It provided technical commentary on the skating...priceless! And that knowledge helped me overcome costume bias, ie, if I don't like your outfit (or music for that matter) then I can't appreciate your skating. Did you know those skimpy costumes cost $700 and up? Ditto for custom skates. The Question...from a column by Ed Hardin in the Greensboro News & Record: "The effort to bring the skating championships here was long and arduous, and there are those who still question the decision to bring them to the South in general, much less Greensboro, N.C."
The Answer...from David Raith, Executive Director of US Figure Skating: "The layout and the venue have been very good, and the local support has been excellent and the marketing has been good, which has been reflected in ticket sales." The Answer...from Gold Medalist Scott Hamilton: "I'm surprised it hasn't hosted before. I've performed here a lot when I was touring with Stars on Ice, and I just assumed it had already been here. Being in the South really isn't strange." 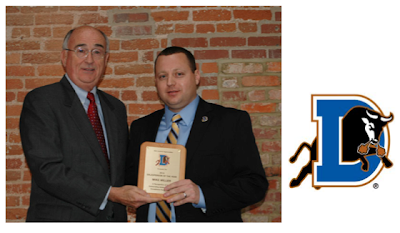 Congratulations to Greensboro...and to Raleigh sports marketer Hill Carrow who led the effort to land the big event. Also, Durham-based NC Amateur Sports is managing the FanFest. As always...it's a regional effort. 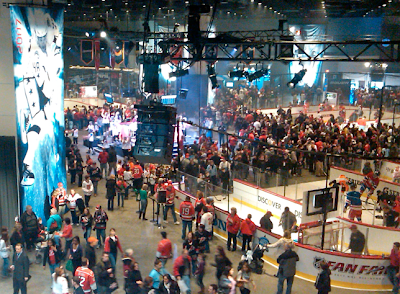 Now, it's on to the NHL All-Star weekend in Raleigh...blades of glory across NC!!! Actor Colin Firth won a Golden Globe last week for The King’s Speech and seems to be a shoe-in for an Academy Award. The film received twelve Oscar nominations Tuesday. 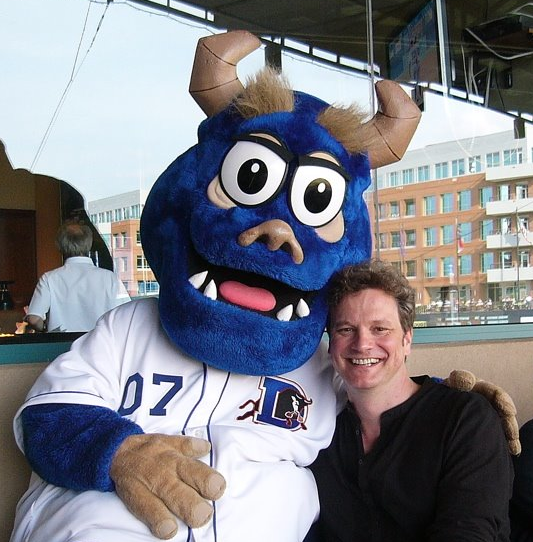 We’re big fans-o-Firth. He was here in Durham in the spring of 2009 filming the movie Main Street. His family made a couple of trips to the ballpark, and they made a very good impression. Thoughtful, gracious folks with two impeccably behaved little boys. Firth seems like a guy who's committed to his craft, not to the trappings of show biz. 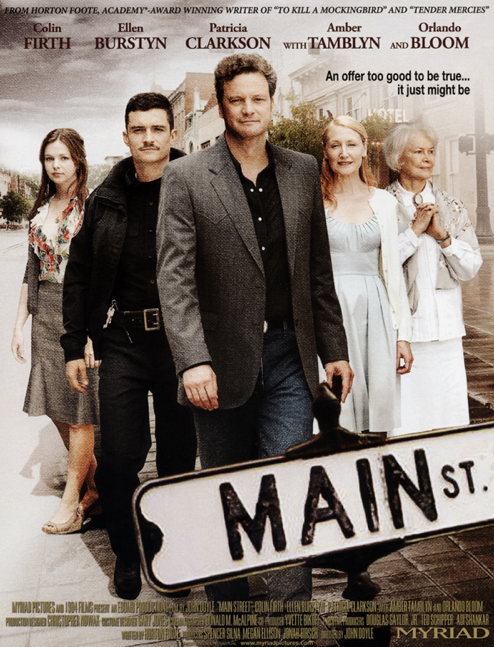 Given Firth's current success, it dawned on me that Main Street has not found its way into theaters. What happened to it? It had a strong cast: Orlando Bloom, Ellen Burstyn, Amber Tamblyn. It was written by two-time Academy Award winner Horton Foote, a final project before his 2009 death. 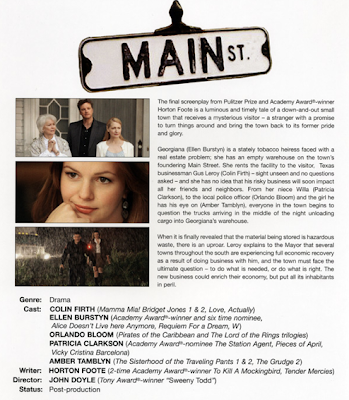 Main Street premiered at an Austin film festival last fall...didn’t seem to get any traction. Here’s a not-so-good review. I'm psyched about the anticipated signings of Johnny Damon and Manny Ramirez. 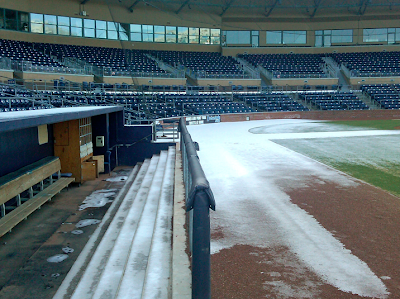 It's been a hard, hard winter in St. Pete as the Rays' do Extreme Makeover: the Payroll Reduction Edition. Now, hope springs eternal! Check out the full story in the St. Pete Times, click here. The Bulls held a job fair Saturday for seasonal positions at the DBAP. I'm very much aware of the unemployment stats, but still, we were surprised at the interest in these part-time jobs. 250 people attended...got pretty crowded. It was an older-than-usual group, too. We have about 100 seasonal jobs on our Hospitality Team, however, most of them are filled by returning employees. 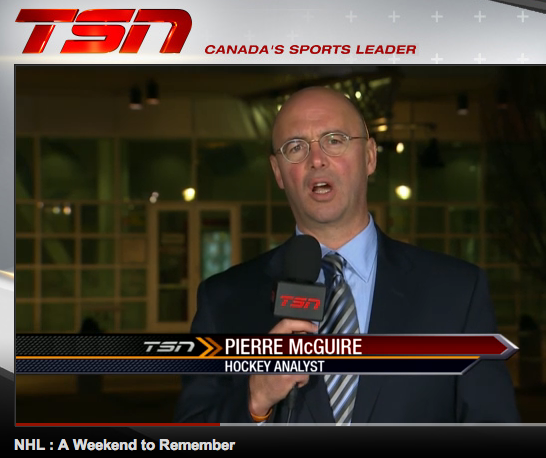 I have to put my baseball pride aside and tout the NHL All-Star Game. 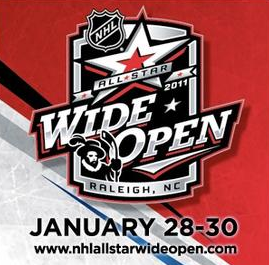 It’s a major event surrounded by a monster weekend January 28-29-30 in Raleigh. Capitol Broadcasting Company is a major media partner with the NHL and City of Raleigh to promote the event(s). 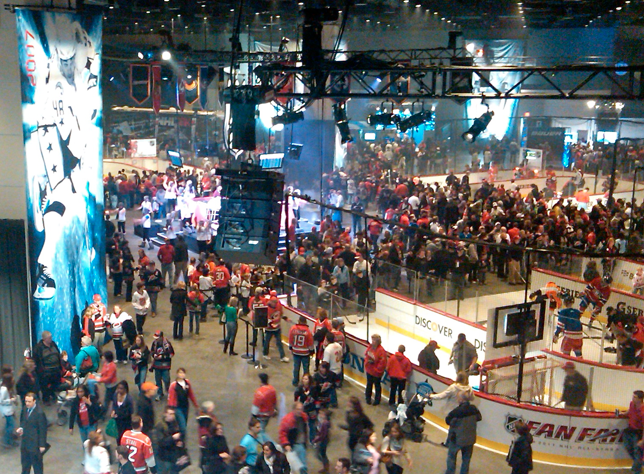 Friday night concert (3 Doors Down), Saturday skills competition, the game on Sunday. Those major happenings are wrapped in the three-day Fan Fair and All-Star Wide Open in downtown Raleigh. Thirty bands on three stages, a 5K, ice skating, snow making, ice carvings, player autographs and food. Like I said, a monster weekend. Beyond the media attention, the event fills up our hotels and restaurants. 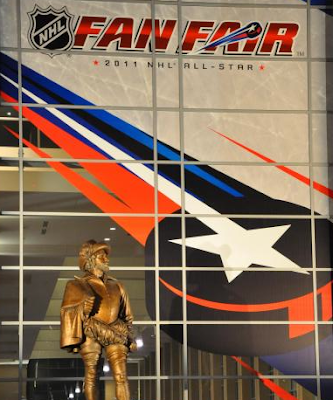 The economic impact of the All-Star Game in other host cities has hovered around ten million dollars. Like I said, a monster weekend: It creates worldwide attention for our community…brings all of us together for three days of entertainment…has a significant economic impact. Read the media releases. 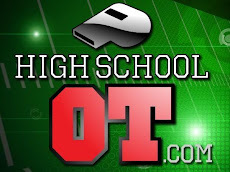 Check out the web site. And make your plans for All-Star Wide Open. 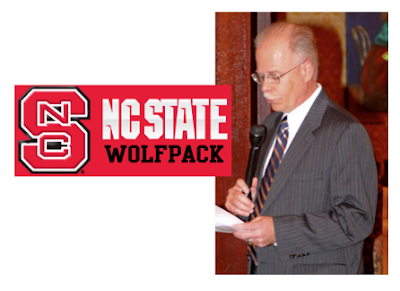 CONGRATZ to Gary Hahn, radio voice of the NC State Wolfpack. He is NC's Sportscaster of the Year. Gary has been behind the mic for NCSU and Capitol Broadcasting Co. for over two decades. 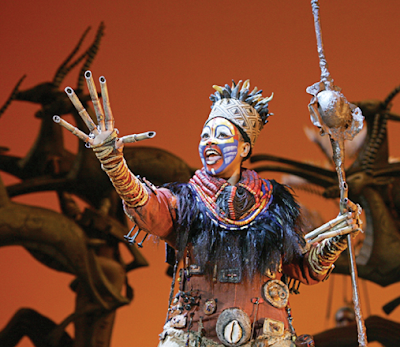 We're proud of his longevity and that signature voice. He's even more serious about his faith...a great example and influence. From Wolfpack AD Debbie Yow: This is a well deserved and very coveted award in the broadcasting field. I commend you for your many years of hard work and dedication...you have represented NC State University very well, and I thank you for being a great ambassador for the athletics program. 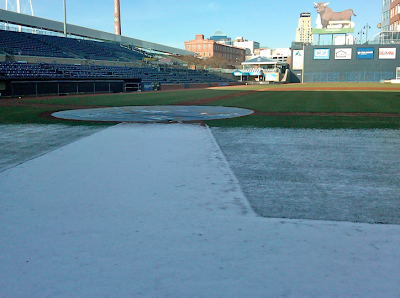 Durham could have hosted the NHL Winter Classic. We still have a coating of ice from Monday night's storm. 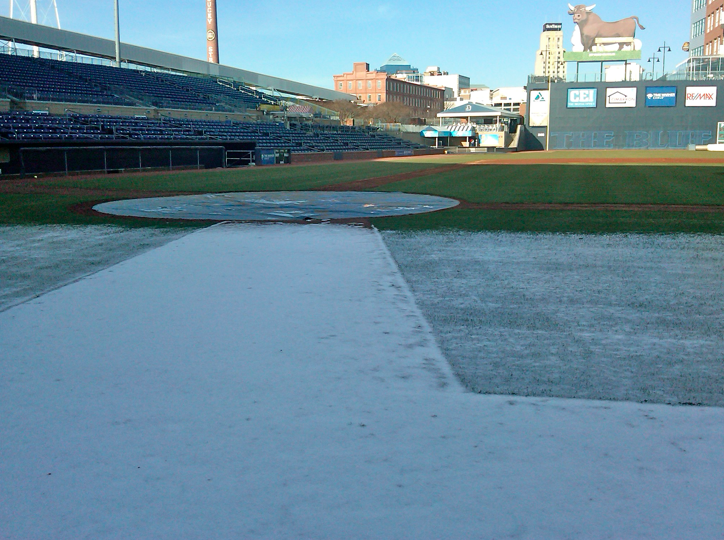 This spot behind home plate doesn't get direct sunlight. It may be in this same condition next week. 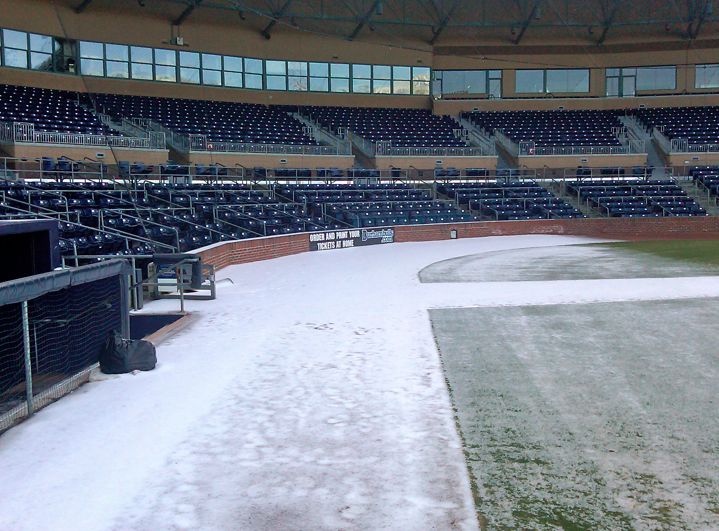 Skates or cleats...at home plate? This will be a good memory in August when the humidity is 99% and the game time temp is 101 degrees at 7:05pm. Far be it from me to discourage your trip to Kosovo or Iraq, but you don’t need to renew your passport for a Durham visit. Come for a ballgame and visit our downtown restaurants. It will be an unforgettable trip! 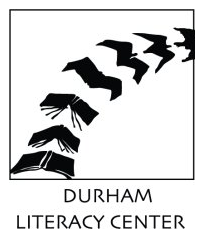 We're cutting a check for $2,000 to the Durham Literacy Center. The DLC helped us grow our Facebook fan base. 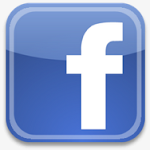 We offered a bounty (a donation to the Center) for each new Fan of the Bulls' Facebook page. We added over 800 fans in the run-up to Christmas. That pushed the Bulls to almost 10,500 Facebook fans, and it puts us in the Top Ten of Minor League ball clubs. Charity or bribery? I'm calling it a contribution! 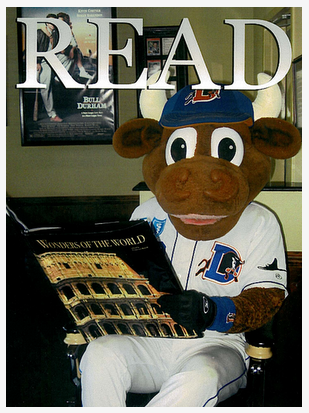 Read more about the Durham Literacy Center, and visit the Bulls on Facebook.